I've checked the ingredients list and have not spotted any silicones, like I mentioned before I'm not that much of a hair care expert but the ingredients look fine to me. Nothing suspicious looking and I've actually used this before back when I was in high school. Let me also mention that I dislike bananas, most times. 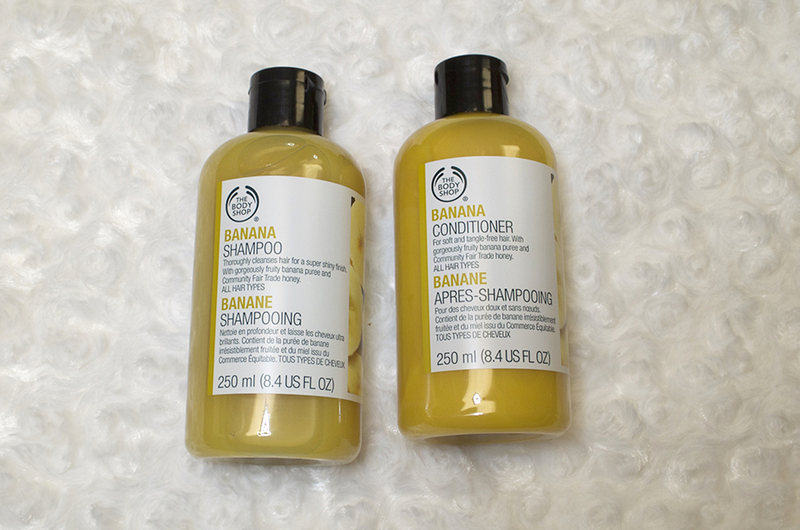 But the shampoo & conditioner smell amazing, it's sweet and definitely something that makes me want to start eating bananas. The smell is amazing as well as the formula, sometimes when I use shampoos and conditioners from random brands besides Pantene, I feel that my hair always ends up feeling sticky or dirty. After using this my hair feels very soft and silky, the smell never lasts on my hair only because I use heat protectant afterwards as well as some Argan oil in my hair. I will also mention that I've realized that since switching to more natural shampoos and conditioners my hair has been falling out less in the shower. I'm not sure if this is due to that fact that I already cleaned my hair with the purifying shampoo/conditioners or that I now cut silicones out of my hair life. But if there are any other natural shampoos/conditioners out there that I should know about please let me know because I've been obsessed with natural hair products. 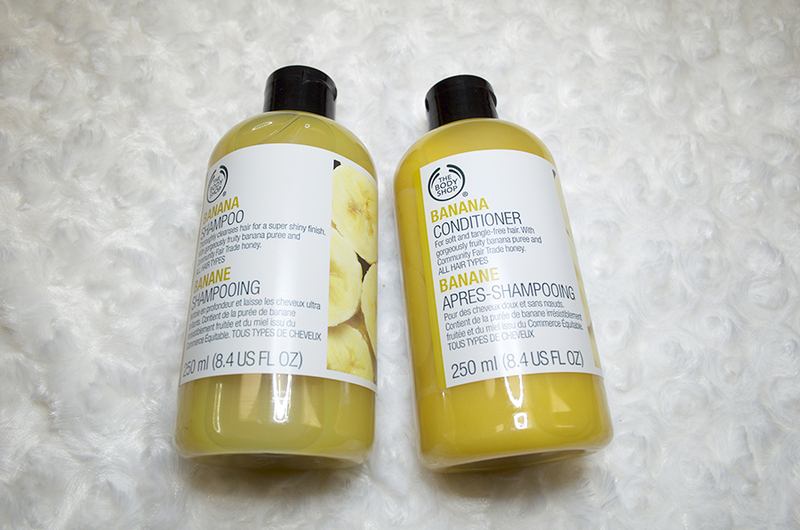 These are $8 each which I personally find pricy but I was running out of my shampoo at home anyways so I decided to stop by The Body Shop and pick these up. This store always has promotions and the most current one is buy 3 get 3 free which makes me sad because when I bought these they were buy 3 get 1 free. So if you are wanting to try these out I recommend you go now before the promotion is over. You would only be paying $24 for 6 bottles which comes out to be $4 a bottle. It is worth the money so definitely give it a try, if the whole "natural" hair care doesn't appeal to you, maybe the scent would because I am really wishing they had more products with the banana line such as a heat protectant, hair oil, body wash, deodorant and whatever else is possible. It smells amazing and I can't get enough of it. Do you have any shampoos from The Body Shop?